Android seems so outdated next to iOS 7. Common Google!! Show us what you can do!! PLEASE!!! The icons aren't looking polished... it's ugly as well as girly. Steve Jobs, please do something about it. Oh wait.. He is in heaven now. Tim Cook, do something about it or else the next product from Apple is a fail, a huge one.. Sometimes i feel like a vampire.. Anonymous, 18 Jun 2013What is standard of 2013 ? most important user exprience for device , nice UI real time mult... morenot true you know.. i have no choice to switch from iphone5 to sgs4.. and sgs4 totally super smooth and very usefull all their feature... i was hoping apple can do better this year..please apple. AnonD-1825, 18 Jun 2013"I am quite a traveller) tethering is not working on iphone" Why not? Working per... moreYeah absolutely.. why not? I dont know? I use mostly vodafones in different EU countries with roaming. And when I try to activate tethering it says contact operator, when I contact operator they have no idea about it. Put the same sim card to android and problems are gone. When I checked google I saw that it is common with iphones.. so there you go..
yeah, 18 Jun 2013how can GSMArena write a review based on a BETA 1??? A first beta and its being reviewed as th... moreIt's a BETA preview. They do this all the time. Is this your first time here????? how can GSMArena write a review based on a BETA 1??? A first beta and its being reviewed as the whole package? Thats just wrong... really dissapointed. Anonymous, 14 Jun 2013I Like how IOS 7 looks and feels. As an Android user, i think it is beautiful. But beauty ... more"No one single feature that puts them ahead of the curve." No other smartphone by Samsung, Sony, HTC, Nokia, have anything that has put them 'ahead of the curve'. They're all the same now. deviant, 18 Jun 2013jesus..just look at the main disadvantages list, nothing changed everything is the same..also ... more"I am quite a traveller) tethering is not working on iphone"
Why not? Working perfectly on my iPhone. AnonD-156493, 17 Jun 2013No flame starting or whatsoever..but this is 2013...what do they think at Apple HQ to 'redesig... moreWhat is standard of 2013 ? most important user exprience for device , nice UI real time multitasking ,a tonnes of widget = phone ram getting heavily ,end up with freeze. 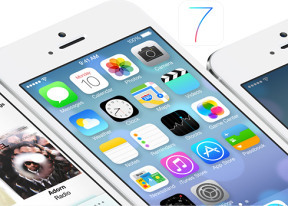 iOS7 feels like a mixture of Android and Blackberry Z10 OS. is this think different ? jesus..just look at the main disadvantages list, nothing changed everything is the same..also gsm arena you forgot to write that for a reason unclear on many operators (I am quite a traveller) tethering is not working on iphone but is working on android.. what good is iphone.. ( I have an iphone 4s and samsung galaxy s3 mini). Are there any new options for creating repeating events in the calendar? I continue to be amazed at how little control the iOS interface provides for such a basic calendaring function.